Theo grew up in Texas and her father was a college professor and assistant superintendent of schools. And growing up in Dallas, there was a small farm outside of Dallas in Ellis County where she learned to drive at the age of eight on a tractor. Theo was an only child and so, she spent a great deal of time out at the farm with her father and in the house with her mother cooking and cleaning. As a child, Theo loved being outdoors and taking in all what nature offered her. She moved to California in the ’80s, and started working at Littler Mendelson in San Francisco. When Theo graduated from the University of Texas Law School she began her career in law and mentioned that back in those days, faxes and e-mails weren’t an option to get briefs to partners for review, so she would have to drive out to Napa or Sonoma or Healdsburg to take a brief to a partner who happened to be spending the weekend at their vineyard. Theo immediately fell in love with the lifestyle and of course, they would sometimes ask her to stay over for dinner and have some wine. During this period of time, Theo learned to drink fine wine, because back in Texas, the only thing she knew about wine was basically muscadine, which is a grapevine species native to the southeastern and south-central United States. Her father used to have wild muscadine on the farm and make homemade wine. When I asked Theo how her fathers homemade wine tasted she said that it tasted so bad, that she didn’t drink wine until she moved to California. Visiting some of the partners as a young associate, she saw their lifestyle and thought, “Wow, I would like to have a vineyard.” So, the idea was to combine her passion for the outdoors and farming and actually own a small vineyard. However, Theo didn’t have the kind of money required to buy the land back in the ’80s, and was not able to afford to purchase any land until 2001. 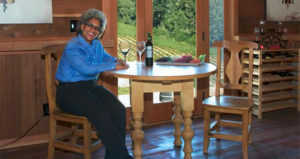 At this time, she purchased sheep land in the Yorkville Highlands of Anderson Valley and began developing her dream vineyard. 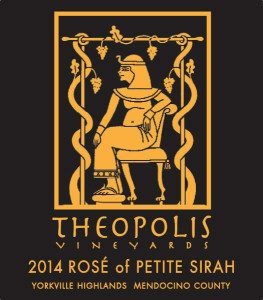 In 2003, Theo planted five acres of Petite Sirah grapes and inherited two sheep and 12 chickens. Theo loves chickens and as for the sheep, she shared that the neighbors caught the sheep; one for a pet and one to eat. 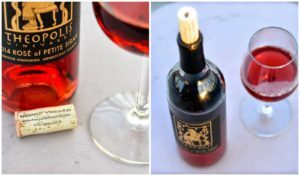 Initially, Theopolis Vineyards had Petite Sirah and about one acre of Zinfandel and the reason for this is because, Zinfandel uses Petite Sirah a lot for blending. At the time, her vineyard manager thought it was a good idea to have both. Over the years, she realized that she was selling grapes, the Petite Sirah grapes, for a lot more money than she was selling the Zinfandel and five acres is not a lot of vineyard land to begin with. So, she field grafted everything to Petite Sirah. She now has five acres of Petite Sirah, and the vineyard is surrounded by fir and redwood trees. It’s a beautiful sight; a very serene and relaxing. 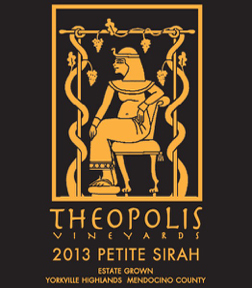 Theo planted the Petite Sirah vines in 2003, and had her first harvest in 2006. 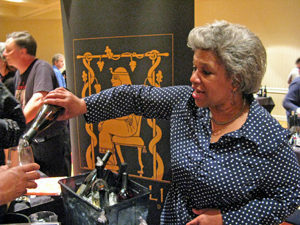 Then she sold grapes to Mike Officer at Carlyle; a boutique winemaker. Then, Robert Parker gave the wine made from her grapes in 2003, 94 points and 96 points. That’s how she began in the business. “Well in 2012, the then buyer, who I don’t identify, had reached out to me in the spring of 2012 and said he had bought a 75-acre Petite Sirah vineyard and he wouldn’t be needing the grapes in the year of 2013. And I said, “Fine.” I would have a year to find a new buyer. Well, it rained in the fall, before the grapes were fully riped. And so, we picked at 23 bricks. And for those of you who don’t understand bricks, that’s the sugar level of the grapes. We picked and delivered eight tons of grapes to that buyer. And that buyer rejected those eight tons of grapes.” said Theo. Theo was left with eight tons of grapes on a truck and decided to find a place to have them custom-crushed and timing was critical because once you pick the grapes, they have to be crushed within 24 hours. Theo found a place to custom crush her grapes up in Hopland, Mendocino. She then asked how much would it cost to make the wine? Theo told us that they said a number that almost made her fall out of her chair. She was not prepared for that number. Being a strong and resourceful women, Theo ended up bartering to get her first vintage bottled. So in exchange for making the wine, the winemaker bottled half under his label and half under her label. And that’s how Theo was able to get her 2012 Petite Sirah made. Her 2012 Petite Sirah went on to win a Stellar Gold Medal in 2015 at the Sunset Magazine International Wine Competition. “I’m happy to tell you also, my 2013, which is even a better product, I think, than the 2012, just won Double Gold at the San Francisco International Wine Competition.” said Theo. As a high school student and a college student, Theo would have parties and she would make something called Wonder Punch. Now, she’s graduated from punch to wine, but it’s still the same effect; you have a good time. “So it’s been a really wonderful experience. And I have to tell you, I always say I’ve always specialized in pleasure in the bottle.” said Theo. “Well, my name is Theodora Lee, that was the name I was born with. My father is Theodore and my mother is Dorothy, so I was named after both of them, Theodora. And I pledged Delta Sigma Theta sorority at Spelman College. And your big sisters give you names that you wear on the back of your Greek jacket. And the name that they gave me was “Theopolis.”” said Theo. When she was looking for a name for her vineyard, Theo shared that she couldn’t say “Lee Estates,” because one of her neighbors actually has a ranch across the street and their last name is Lee. She wanted to have something personal that was distinctive and unique to me and so, she adopted “Theopolis” as the name for Theopolis Vineyards. 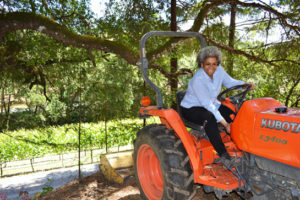 Back in about 2012, she had the pleasure of hosting some folks from Hollywood that are in the business of television and movies and theater, and they were up and they saw Theo on her tractor. Being from Texas, Theo has a bouffant, so to speak hairdo. 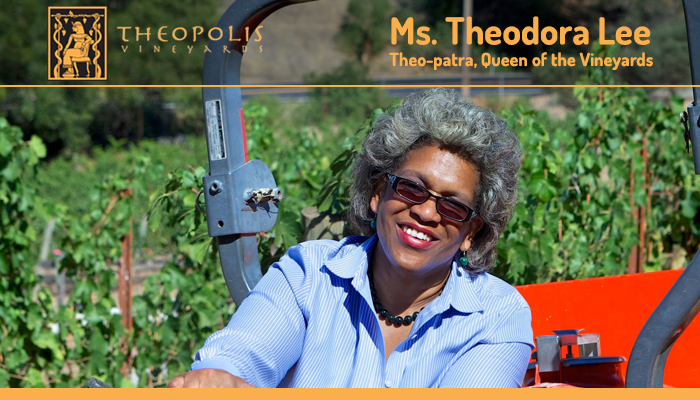 When they saw her up on the tractor that’s when they dubbed her “Theopatra, Queen of the Vineyards.” Theo figured that those creative types came up with “Theopatra, Queen of the Vineyards” and since it took, she figured why not use it. The wine label has both the Egyptian and the Greek theme on it. “Like Cleopatra came out of Greece and went into Egypt and ruled that country, I, Theopatra, am going to take the wine world by storm” said Theo. I had a wonderful time conducting Theo’s featured interview. She is incredibly humble, but has a bigger than life personality. Her friends describe here as “bold” and “brassy.” Theo doesn’t mince words and she calls it as she see’s it. “I’m just a real kind of country girl from Texas who likes to have a good time and share the good times with my friends and family. And that’s what wine does; wine brings people together. 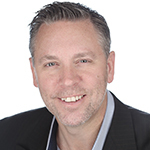 No matter what views you may have in life across an array of topics, you may have different prospects on different things. But when you’re sitting around drinking a glass of wine over dinner with friends and family, all the problems in the world seem to go away. And I like to be part of that program to make life worth living” said Theo. Tasting Note: This Estate Grown Petite Sirah has a bouquet of delicious and ripe dark red fruit with hints of chocolate, balanced by suggestions of black cherries, anise, and ripe plums. The wine is rich and flavorful on the palate, lingering to a pure and long finish. This vintage will stand up now and age beautifully. Food Pairing Suggestions: Petite Sirah pairs well with barbecue, stews, braised and grilled beef or wild game, charcuterie, lamb or sausage. Tasting Note: A refreshingly brilliant dry Rosé of Petite Sirah, with floral aromas of rose petals and flavors of fresh cherries and cranberries. The palate is clean and bright, with hints of green apple balanced by nice acidity. Food Pairing Suggestions: Served chilled, this rosé is the perfect picnic wine and will wake up the palate as an appetizer. It pairs well with flavorful vegetarian fare, and is an ideal accompaniment to seafood, gourmet cheese, barbeque chicken, and light grilled meats. Join the wine club today and save!